The supply of fresh, clean water to the home is essential and the responsibilities placed on those delivering the service are understandably huge. At Castings Services we understand the pressure to deliver and we therefore commit to supporting our customers fully with their pipeline supply requirements. We commit to holding plentiful stocks of standard ductile iron pressure pipes and high pressure pipe fittings to suit EN545 clean water applications and we also commit to delivering these products within the quickest possible timescale. Our stocks include ductile iron pipe sizes from 80mm to 900mm with the bulk centring on the smaller diameters from 80mm to 300mm. Our EN545 pipes have a fusion bonded epoxy coating externally and are internally cement lined in order to meet with DWI Reg31 approval. 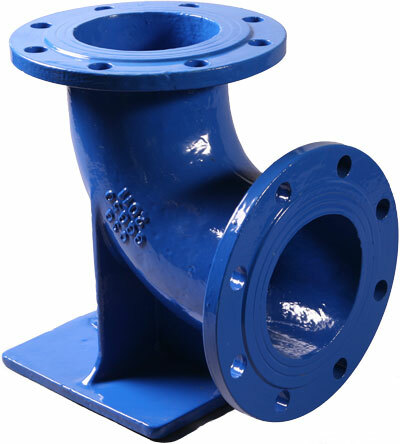 We also keep the full complement of PN16 flanged ductile iron pipe fittings to suit, including all angles of bends and various types of junction and a similar range with push fit joints. Waste water treatment, including transportation to the treatment works, is as vital as the supply of clean water to the home. 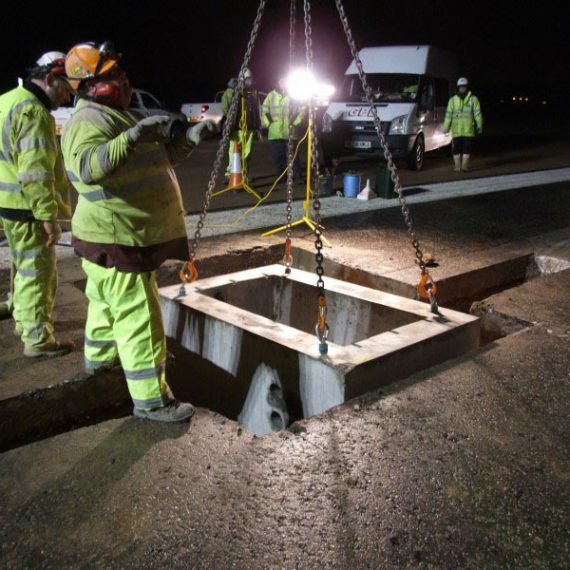 We work with a wide variety of customers involved in the waste water and sewage treatment industry from water authorities to pumped drainage specialists so our technical sales team has a depth of knowledge and a broad range of experience. As with the clean water pipe, we keep extensive stocks ranging from 80mm to 900mm with larger sizes available upon request. The majority of our EN598 fittings are PN16 flanged but we do still keep a significant amount of socket and spigot pipe and fittings for lower pressure and buried applications. 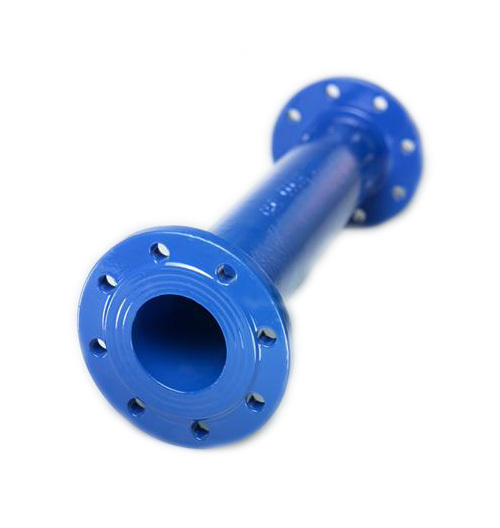 For convenience and speed we keep stocks, in both blue and red, of standard lengths of socket and spigot pipe as well as pre-fabricated double flanged pipes, in one metre incremental lengths, up to and including five metres. 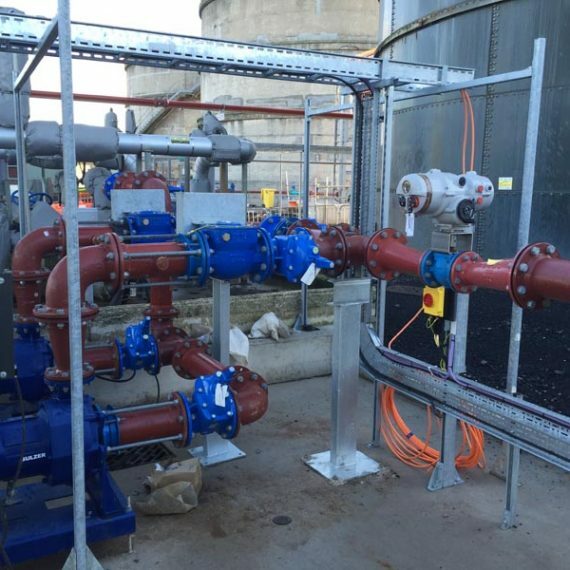 However, for more complex projects that require bespoke lengths, tie flanges, BSP bosses and puddle flanges, we offer a pipe fabrication service. We can fabricate all diameters of ductile iron pipe in EN545 and EN598 to be double flanged, flange spigot, double spigot and rocker pipes. In terms of fabrication, steel is much easier to work with than ductile, so it is particularly suited for the manufacture of bespoke fittings. Using steel for fittings gives engineers extra flexibility in design as they don’t have to work to the confines of standard ductile iron dimensions so; for example, we are able to fabricate any degree or radius of bend to suit the confines of the project and have any flange drilling to suit. This makes steel the ideal option for refurbishment work where you may be working with various imperial and metric dimensions and converting from BS10 flanges to PN16. Steel fabrications can be supplied are most commonly supplied with a ScotchKote 323 coating but there are numerous other coating options available. Another versatile material, thin wall stainless is suited for water, waste water, pharmaceutical, food, paper and brewing industries. Our engineers are experts in design and fabrication and they have access to in house 2D and 3D engineering design systems which are fully BIM compliant. 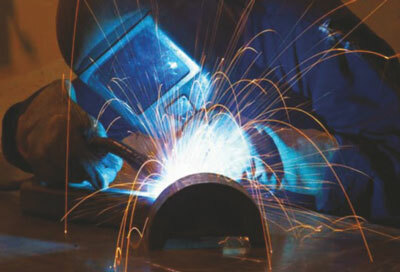 Coded welders are able to manufacture pipework and pressure vessels in all material grades and sizes and we can carry out pressure, vacuum, and X-ray testing of all fabrications. 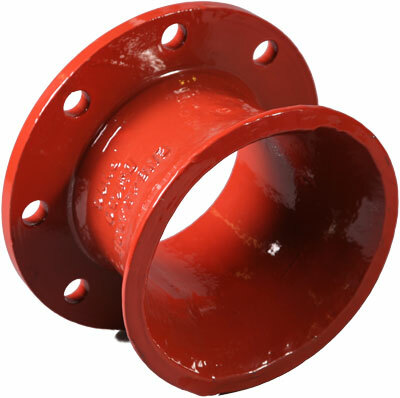 Flange Adaptors, for creating a flange on a plain ended pipe, are available in dedicated sizes for new build projects where the outside diameter is known. For repair work where the pipe diameter may not be known, we can offer the wide tolerance VJ Maxidaptor, which covers a range of sizes. We also stock the VJ FlexLock Flange Adaptor which is self-restraining for higher pressure applications, without the need for tie bars, as well as the VJ UltraGrip which will work on pretty much any pipe material. Couplings allow two pieces of plain ended pipe to be joined together and are available in the same ranges as the flange adaptors including the Maxifit coupling for wide tolerances, the UltraGrip and the FlexLock. 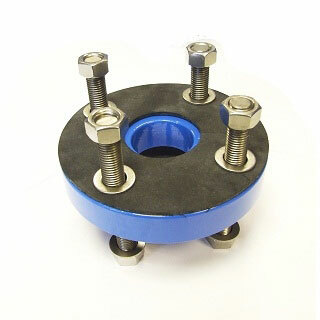 Repair Clamps work by encapsulating any leaks in the pipe that they are fitted to. They are an essential item to keep in any repair and maintenance contractors stock particularly in winter when pipe bursts are more common. We keep ample stock and can deliver these to most UK sites the same day if required. The UK’s water and waste water networks still have large amounts of imperial sized pipes and fittings with BS10 table D and E flange drillings: whereas all modern pipes, fittings and valves generally have PN16 flanges to EN1092-1. So, if a contractor is replacing parts in an old system or joining on to an old system, they will often find that two flange drillings are not compatible. 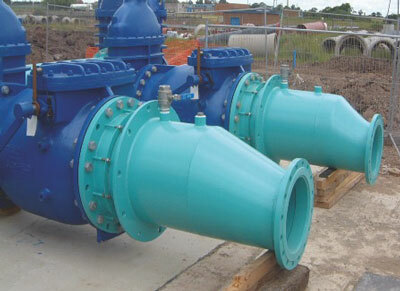 Flange convertors, or change flanges as they are sometimes called, are a simple yet effective solution to this problem. Stainless steel studs protrude from either side of a metal ring and are configured to suit the two opposing flanges so that they can be easily bolted together. We stock a range of sizes and drillings which facilitate the connection of old and new systems and can fabricate bespoke convertors in a matter of days.